Achieve the complete carbon fiber look on your W205 Coupe with a set of these carbon fiber side skirt extensions. Our W205 C63 Coupe carbon fiber side skirt extensions simply bolt onto your existing side skirt only using 3M tape and self taping screws. No special modifications are required to install these extenions, and can be installed in under an hour. Each order includes 1 passenger and 1 driver side carbon fiber extension. 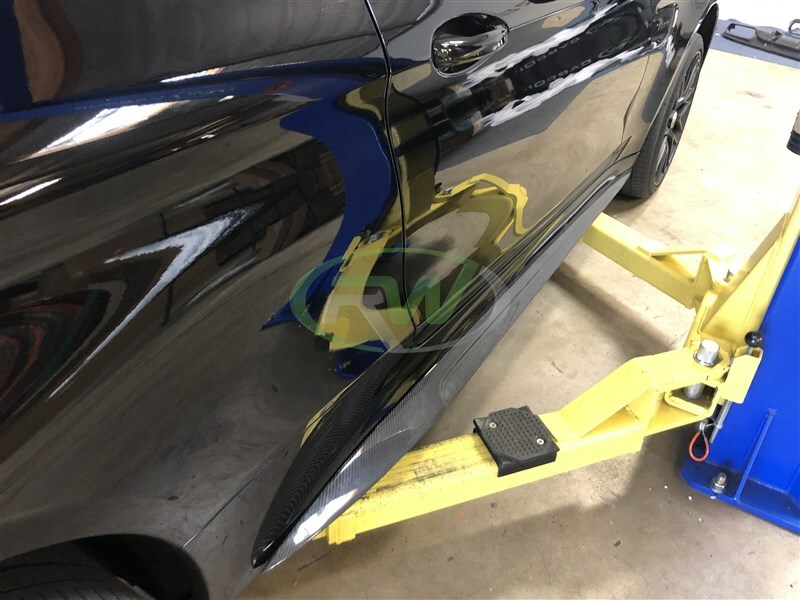 These side skirt extensions, as well as all of our other products, are finished with a UV resistant clear coat to prevent any fading or discoloring. 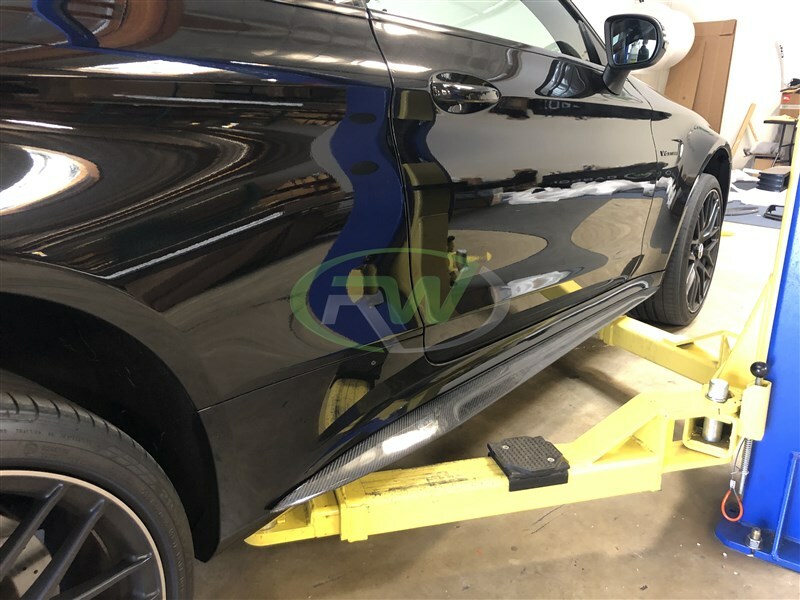 Each set of these side skirts are backed by our quality and fitment guarantee to ensure that this product fits well and looks even better. Installation for the W205 C63 Coupe carbon fiber side skirts is fairly simple. Mount with 3M tape on the seam where they meet the body of the car, then secure through the bottom with self taping screws, about 8 per side. Installation hardware is not included. Typically installation can be completed in under 1 hour. At RW Carbon we are aware how many companies there are claiming they have the best exterior carbon fiber parts for your W205 C63 Coupe. Unique from many of our competitors, we take the time to quality control every single piece that ships from our warehouse. When you order from many companies online they are shipping a product straight from overseas that has not been quality controlled. If you order one of these parts you could receive a part that is damaged, has scratches in the clearcoat, or overall poor carbon fiber construction. You could be stuck with a part that does not if the company you ordered from has no customer service. By choosing RW Carbon we make the promise to deliver you a consistent, quality product that is shipped from our Southern California location.